Discussion in 'Member Introductions' started by SkedAddled, Jun 7, 2018. 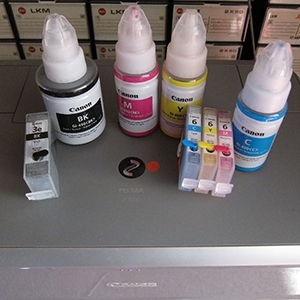 I've been lurking here recently, reading about Canon inkjets. and the fact that I just obtained a new printer. I'm looking forward to interactive learning while I visit this fine forum. Welcome! we may not have ALL the answers (yet), but we got some of 'em! Thanks for the greets, folks. I always appreciate these sorts of friendly and helpful communities. who don't use what they've chosen. I see a noticeable absence of that here. I see a noticeable absence of that here. We do have a soft version of fanboy-ism here concerning refill method: traditional top fill versus Durchstich German method, but it pales in comparison to Intel vs AMD fanboys. SkedAddled and The Hat like this. That's fine and good; it boils down to whatever method one knows and is comfortable with. And you're very on-target with Intel vs. AMD arenas.